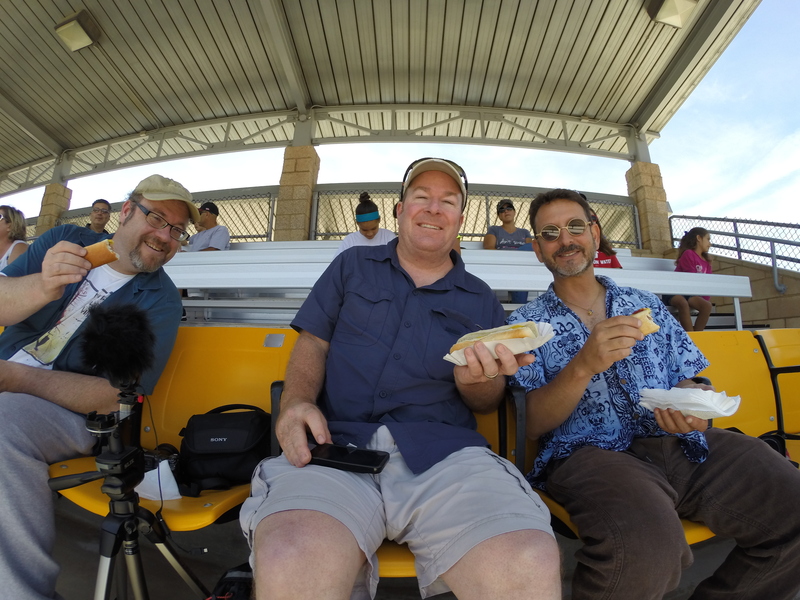 On Saturday July 12, 2014 Brian and Berg attended a game at California Lutheran University’s Sparky Anderson Field. Joined by their crony, A.J, the three enjoyed an afternoon under the bleachers, on a warm and languid summer Saturday, scarfing hotdogs and nachos while rooting for the Conejo Oaks who won against the California Wahoos. And although Brian didn’t win the raffle, the Oaks won 4-3. Afterwards, Berg and Brian had the honor of speaking with Verne Merill general manager and David Soliz team manager. The afternoon was well spent enjoying one of America’s greatest pastimes. Chillin’ salutes The Conejo Oaks and encourages everyone to support our local team. Attached is a clip of the interview, along with some shots of the game.